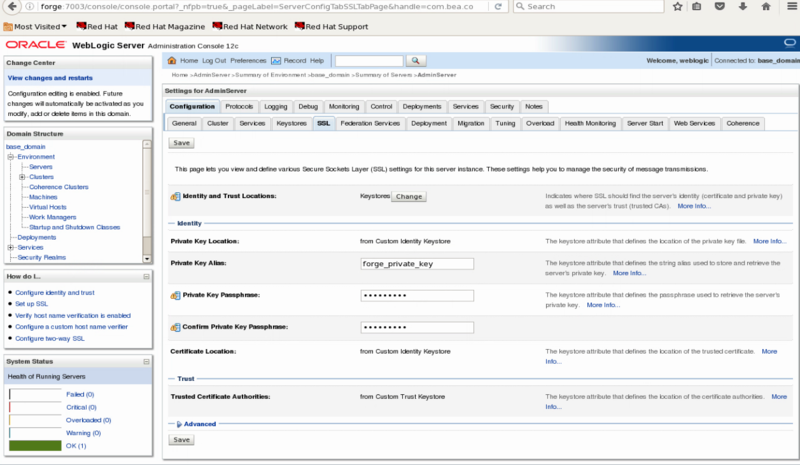 This article is the second in a three-part series that details how to secure a WebLogic server. 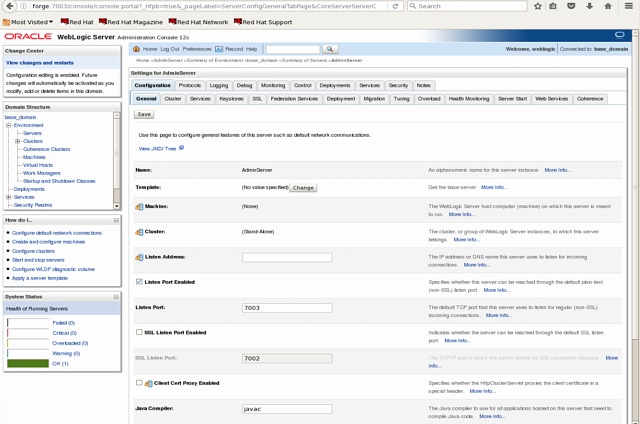 The Oracle WebLogic Admin Server can be configured through the Admin Console to run on a secure port. 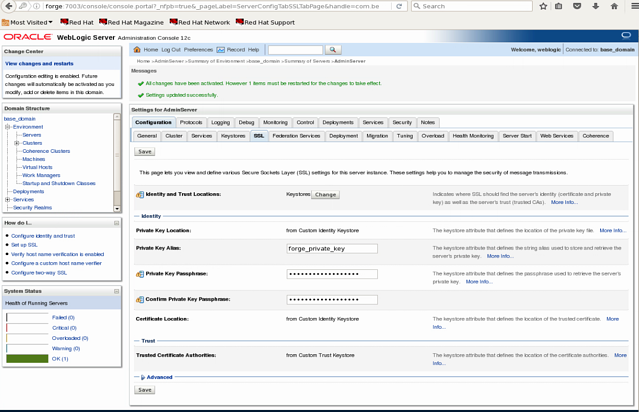 WebLogic provides default keystores that can be used to simulate SSL access in a test environment. 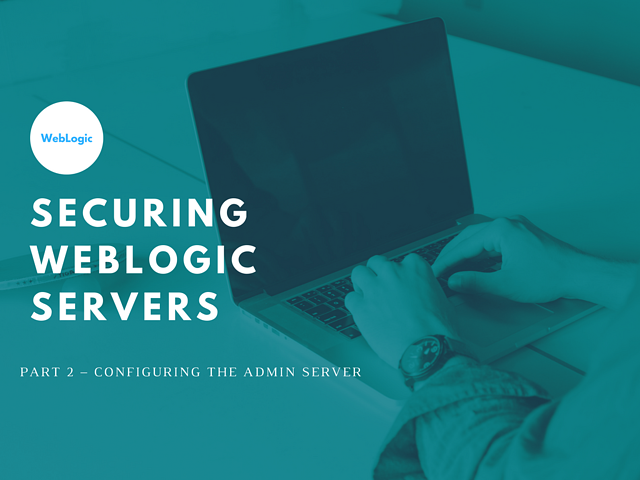 This article details the steps in configuring the WebLogic Admin Server to use keystores with certificates that can be used in a production environment. This backup file can be used to restore the config.xml file if there are any problems with the configuration. Make sure the domain is in production mode. Once a domain is changed to production mode, it can’t be changed back to development mode. Click base_domain on the left hand side under Domain Structure. Select the box next to Production Mode. The screen indicates that the servers must be restarted. Click on Servers --> Control. 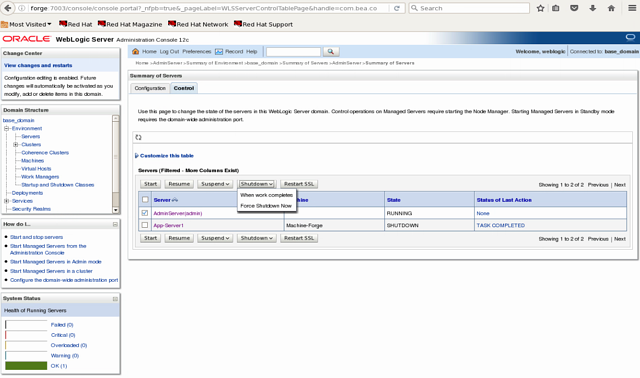 Select the box next to the managed server. Select Shutdown. Select “When work completes” from the drop down. The screen will indicate that the managed server has been shut down. Click on the AdminServer. 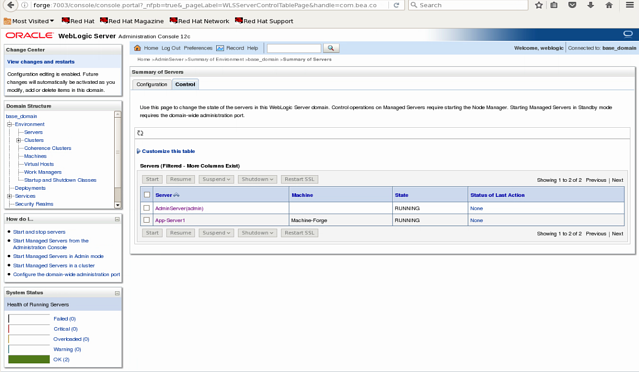 The AdminServer settings screen displays. 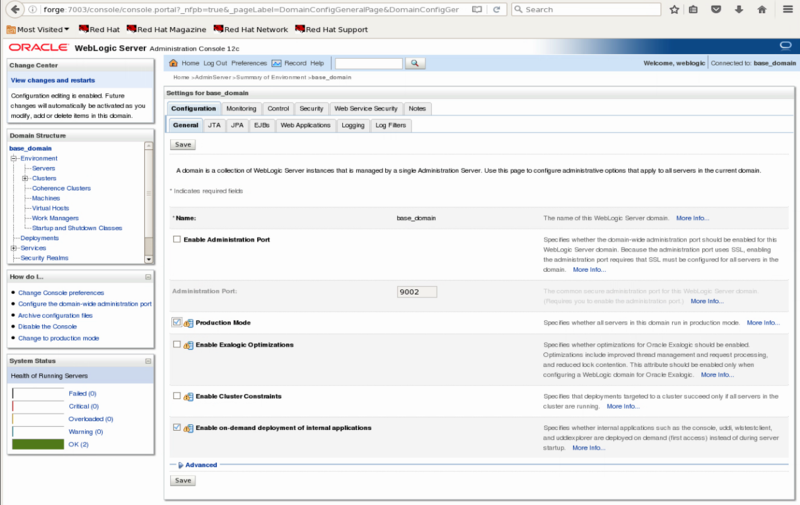 The AdminServer Settings, Configuration --> Keystores screen displays. 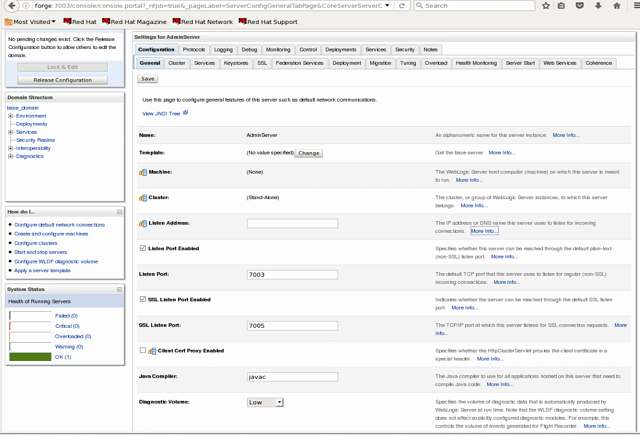 The AdminServer Settings General --> SSL screen displays. 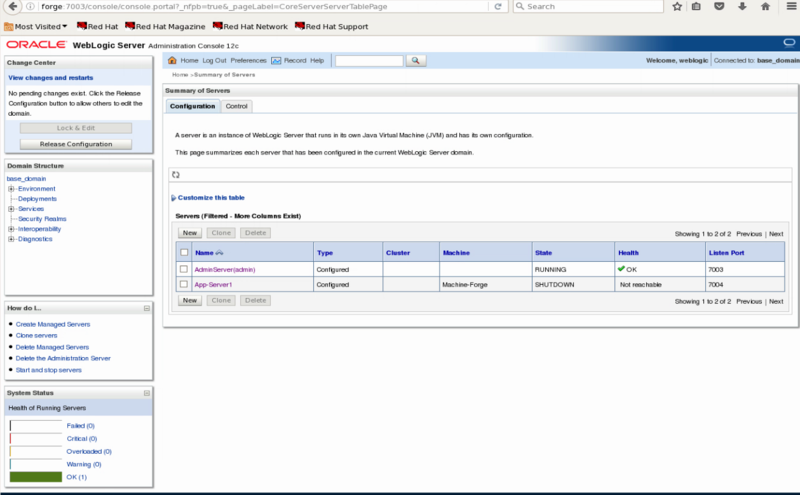 The screen indicates that the server must be restarted in order for the new settings to take effect. Select the box next to the AdminServer. 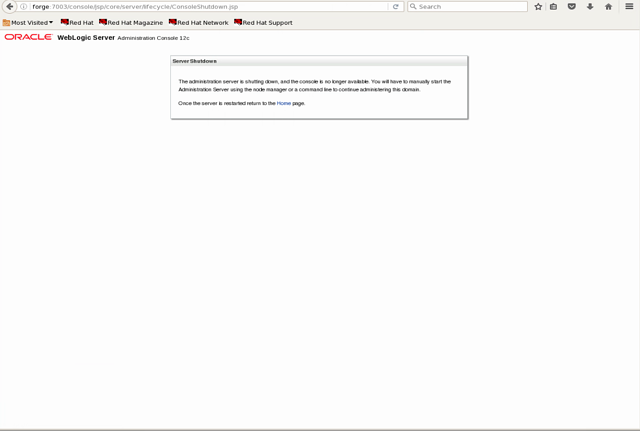 A screen displays showing that the AdminServer has been shut down. It must be restarted in order for the web interface to be available. 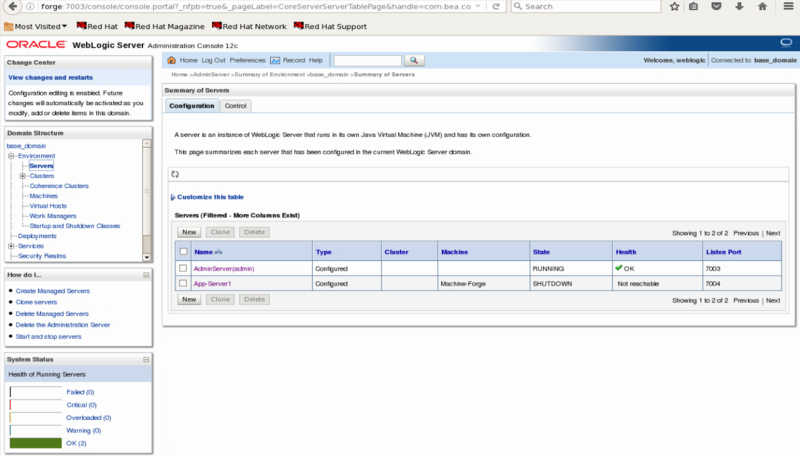 Restart WebLogic on the server with the following command. 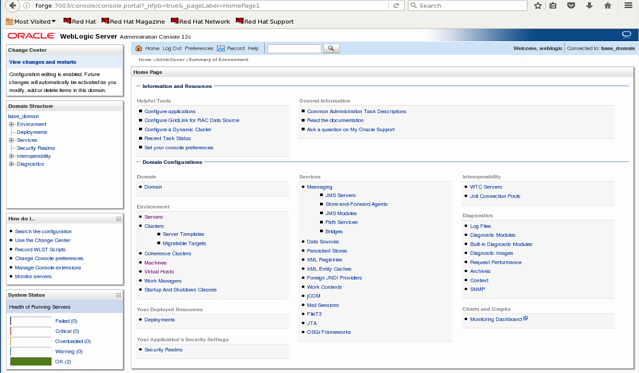 Once the server state is changed to RUNNING, the web interface will be available. 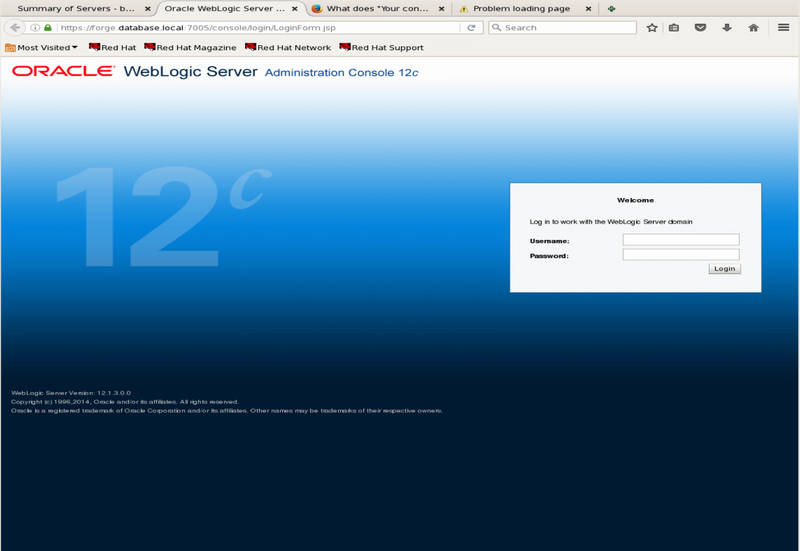 Log back into WebLogic. 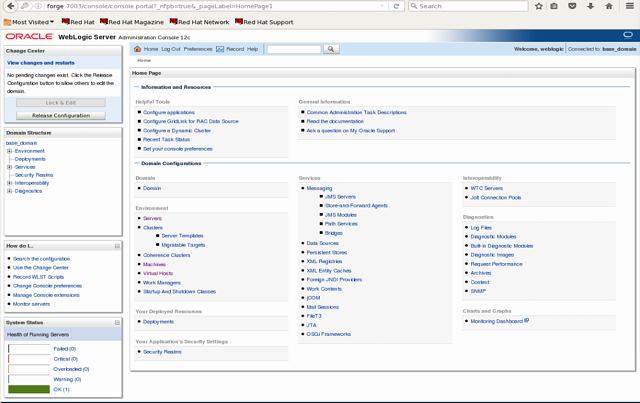 Note the Change Center in the upper left since WebLogic has been changed from development mode to production mode. The Settings for AdminServer screen displays. Click Lock & Edit in the Change Center on the left hand side. Select the box next to SSL Listen Port Enabled. Enter a port number for SSL Listen Port. 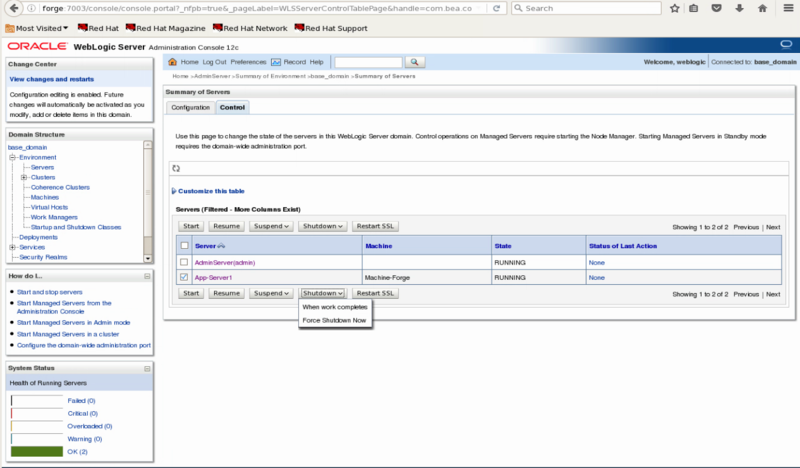 Enabling the SSL port could have been done prior to shutting down the AdminServer in Step 12, but this is an example of using the Change Center in Production Mode. 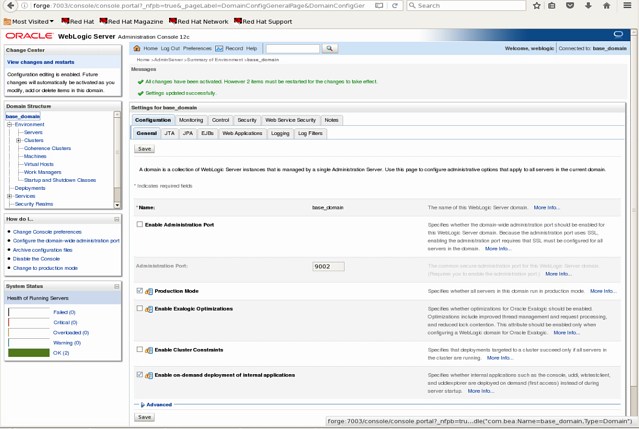 Shutdown the AdminServer and restart WebLogic as in Steps 12 – 15 above. 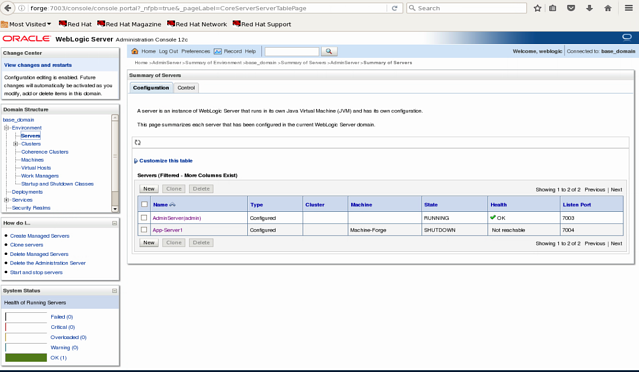 You can now use the secure SSL Listen Port to run WebLogic. Note that the site is now locked and verified. For security, for example to satisfy NIST SP 800-53 security controls, the non-secure Listen Port can be disabled.